Fall is the perfect season to sample some Washington-grown fruits and vegetables, especially pumpkins! Just 1/2 cup of cooked pumpkin provides 122% of our daily recommended value of Vitamin A. Pumpkin is also a good source of Vitamin C. With nutrient content like that and a delicious and versatile flavor, what’s not to love? At the store or farmers market, look for fresh pumpkins that are bright orange and feel heavy for their size. They should feel firm and not have any soft spots, bruises, or other signs of decay. Keep fresh pumpkins in a cool, dark place until you are ready to use them. Look for canned pumpkin with no added sugars or sodium. 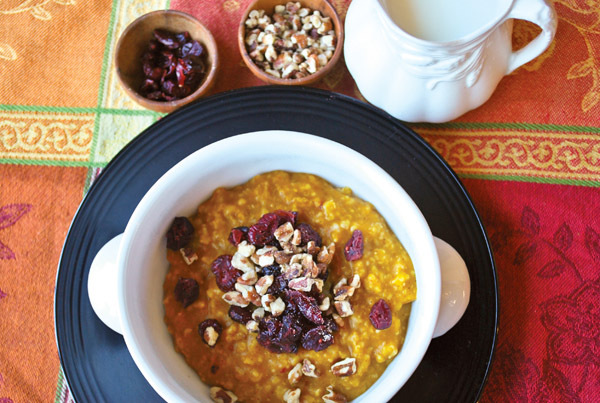 You can use canned pumpkin in any recipe that uses cooked pumpkin. Freeze any unused canned pumpkin for later use. Most of us know the taste of pumpkin pie, but pumpkin can also be used in a wide variety of recipes both sweet and savory. 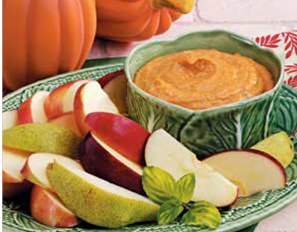 Try these two, or let us know your favorite way to cook pumpkin on our facebook page!